And You Thought There is Never a Girl Online? contains episodes 1-12 of the anime directed by Shinsuke Yanagi. 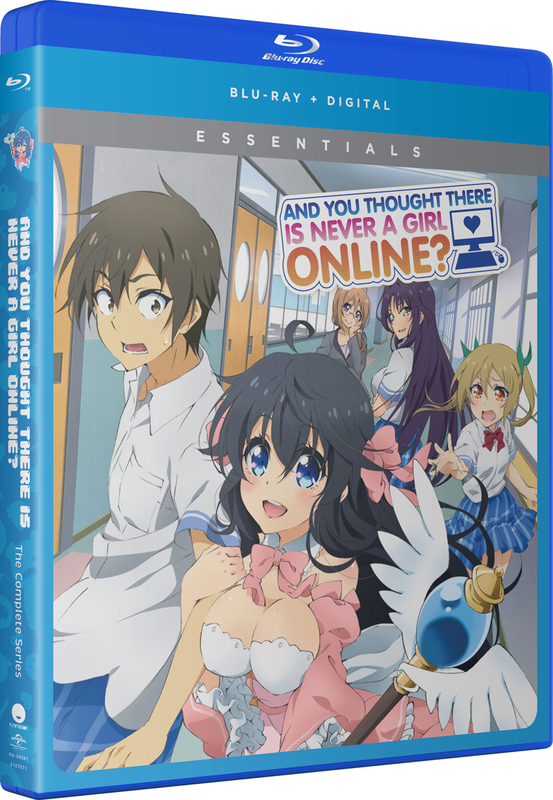 While this series has familiar anime tropes, it is an interesting take on the blurred lines between online and real world lives of classmates. It has a blend of both humor and action that ramps up in the few last episodes. I found it to be easy to watch and enjoyable, if not sometimes overly sexualized. This Blu-Ray only version comes with some extra commentaries, a music videos and clean openings/closing. Entertaining with a nice dose of humor. An entertaining and lighthearted series. Great blend of humor, classic anime tropes, and interesting concept (the world were reality meets the life of an MMO player).